Are you looking for ways to make mindful choices while you are on-the-go? With options like Wake-Up Wrap® Sandwiches & Cold Brew, you can keep running on Dunkin’ while still making better-for-you choices! Erika Brooks, a Registered Dietitian and Sr. 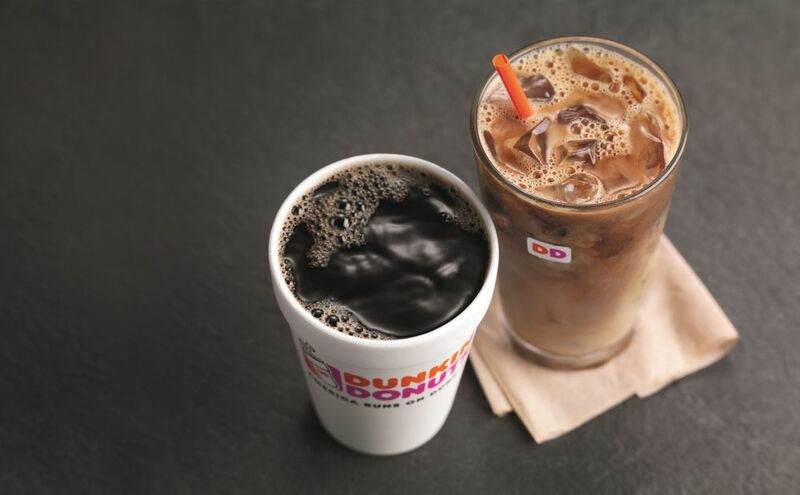 Manager of Regulatory Compliance and Nutrition here at Dunkin’, offers her suggestions for better-for-you choices at Dunkin’ Donuts restaurants. 1. 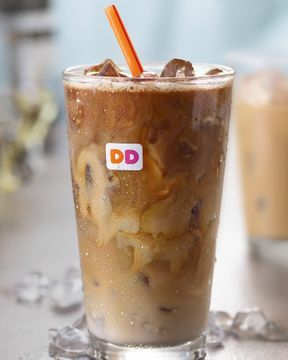 Iced Coffee: This refreshing beverage is the perfect customizable pick-me-up. Substitute skim milk for cream for a lighter option, or drink it black for 15 calories in a medium. Pro Tip: Looking to add some flavor? Add a French Vanilla, Toasted Almond, Hazelnut, Blueberry, Raspberry or Coconut flavor shot for 5-20 extra calories depending on the beverage size. Our flavor shots are unsweetened and sugar-free, providing you with the flavor you want without the additional sugar. 2. Cold Brew: Cold Brew is naturally sweeter than regular coffee, making this velvety brew taste amazing black. 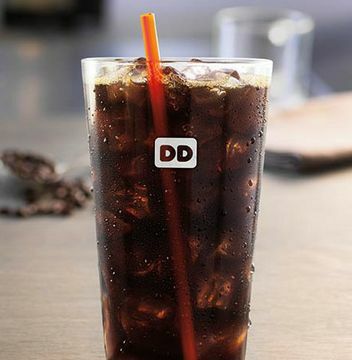 A medium Cold Brew served black is 15 calories! Pro Tip: Adding skim milk or almond milk instead of cream or whole milk adds 20-30 extra calories depending on beverage size. 3. 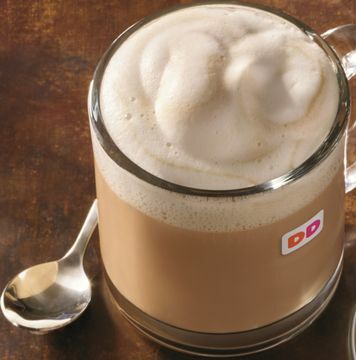 Latte with Hazelnut Flavor Shot & Skim Milk: If you are craving a flavorful espresso beverage, you can’t beat one that comes in at 110 calories for a medium cup. Pro tip: By ordering this beverage with skim milk and flavor shot instead of whole milk and a flavor swirl, you can cut over 200 calories. 4. 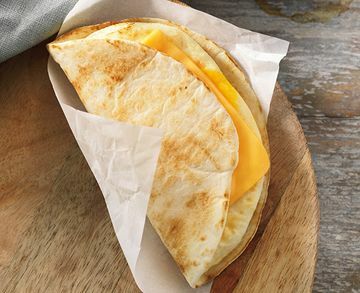 Wake-Up Wrap® Sandwiches: These sandwiches are perfectly portioned to help start your day or fuel your afternoon. Enjoy an Egg & Cheese at 180 calories or try a Ham, Egg & Cheese at 190 calories. 5. Veggie Egg White Omelet Breakfast Sandwich: Craving a breakfast sandwich? Opt for one on an English muffin. 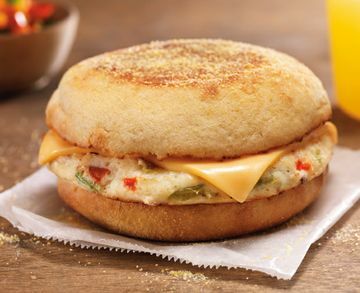 The Veggie Egg White Omelet is a delicious option, featuring an egg white omelet with diced red and green bell peppers, mushrooms and green onions, topped with a slice of American Cheese and served on an oven toasted English Muffin for 310 calories. 6. Multigrain Bagel: Need your bagel fix? 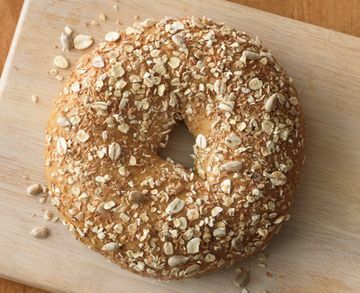 Our Multigrain Bagel is a good source of fiber and comes in at 350 calories when served without cream cheese or butter. This bagel also includes whole grain wheat and millet, and ground flax seeds with no high fructose corn syrup, no artificial flavors, preservatives or dyes. All topped with whole grain oats, wheat and barley as well as sesame and sunflower seeds. How do you run on Dunkin’? Let us know on Facebook, Twitter and Instagram!